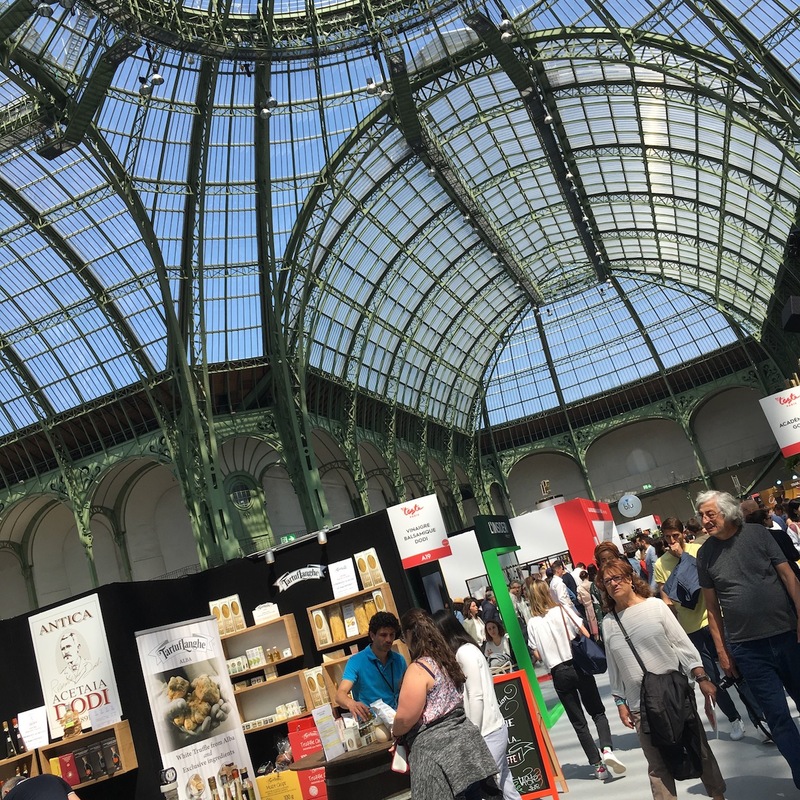 Taste of Paris 2018 at the Grand Palais: a hothouse in the most literal sense. 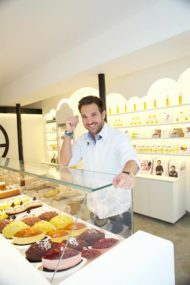 Alain Ducasse’s “pop-up” promised long lines and expensive vegetables. I went with my husband and two daughters (8 and 12), so already in just entrance fees, that’s 60 € (20 each, with kids under 10 free). Plus you could only buy food with an event-specific card, which I pre-filled with 40 €. 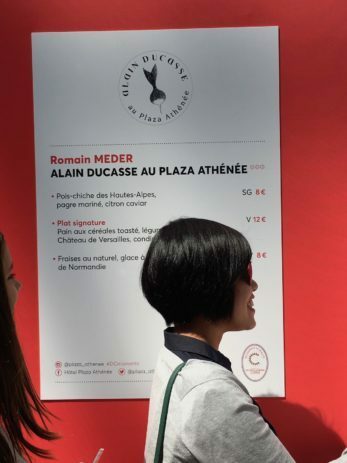 The first (bad) impression I got was Alain Ducasse’s Plaza Athenée stand selling toasted bread with vegetables for 12 € (most dishes — all served as “taster’s portions,” i.e., a few bites — were 8 €, but if they were “signature dishes,” which apparently Ducasse’s vegetable toast was, they were more). Admittedly, I did not try this piece of toast, but come on. Could toast and veggies possibly be worth 12 €? 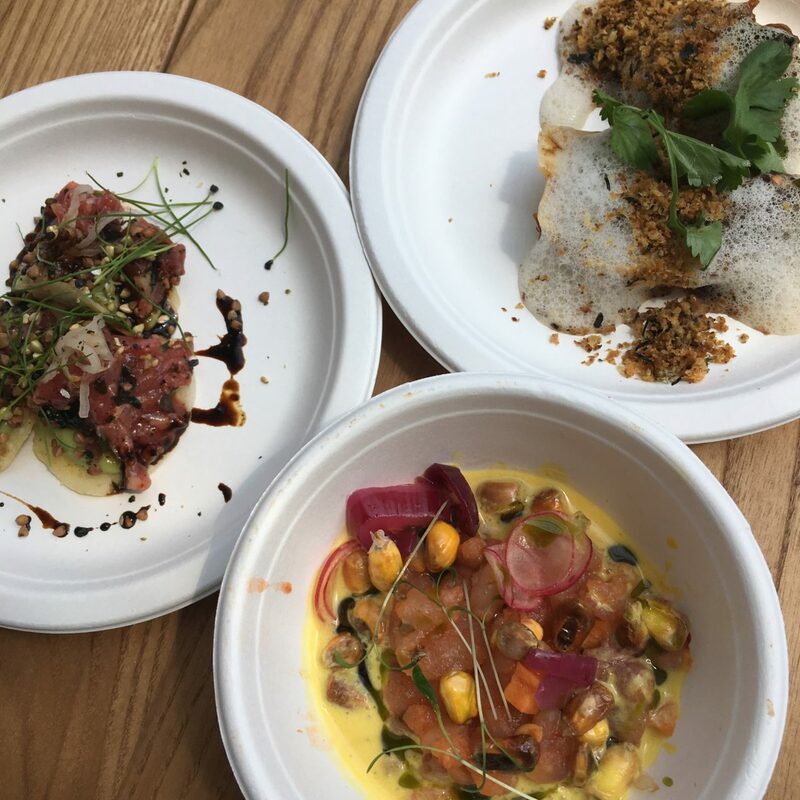 Held over four days, from May 17 to 20, Taste of Paris 2018 hosted some 30,000 visitors. Maybe it was just my imagination, but it felt like all of them were there on the Sunday afternoon we went. We had hoped that our kids could participate in children’s workshops but they were all filled, even though we arrived fairly early (you could not sign up in advance). Lines for the famous chefs and restaurants were ridiculous. Right away, my husband and I saw that with our two hungry kids in tow, we’d have to forget about Michelin stars and just go for stands with the shortest lines. 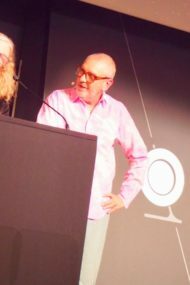 And in the end, we were quite happy with the food we ate, imaginative creations from l’École Ferrandi, the Paris restaurant Uma and the ab-so-lutely fab glacier Philippe Faur. Some nibbles from the Paris restaurant Uma. But even eating very modesly, our 40 smackers soon was used up and we had to fill up our card again. Some of us hadn’t had dessert, so we went wandering around the noisy and hot (the glass-ceilinged Grand Palais is basically a greenhouse) exhibition space, but all the lines looked too long to brave after already having spent a couple of hours in there (an eternity for children). Instead, we wisely decided to escape to the new Pierre Hermé café-shop on the Champs-Élysées (which is weirdly paired with l’Occitane). Ah, breathing space and a civilized atmosphere in a near-empty enclosed streetside space. Next time, as my husband said, we’ll ditch the kids and spend our 120 € on a nice dinner for just the two of us. 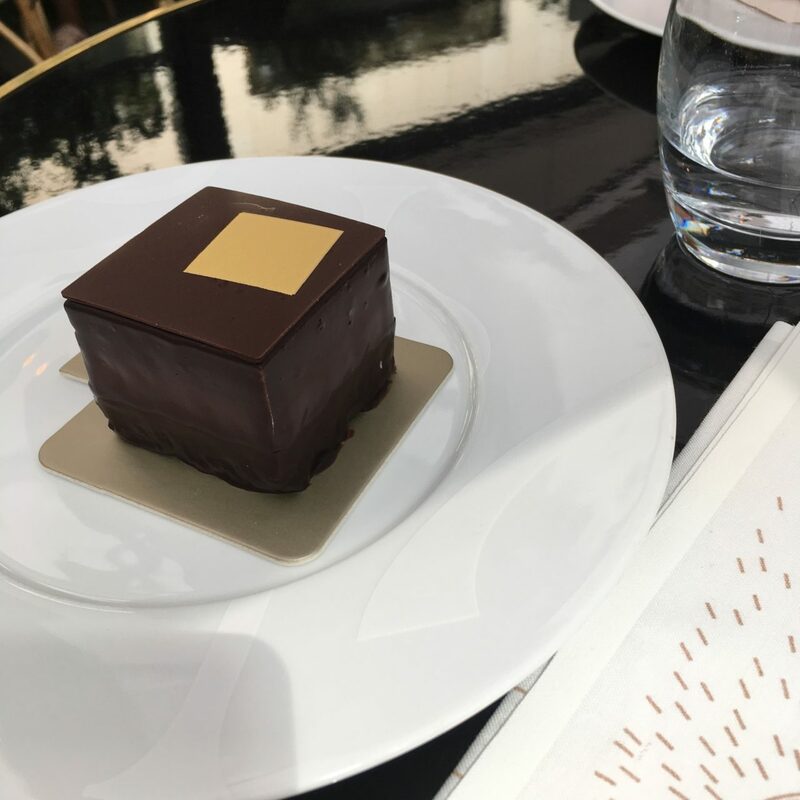 A chocolatey respite at Pierre Hermé on the Champs-Élysées.